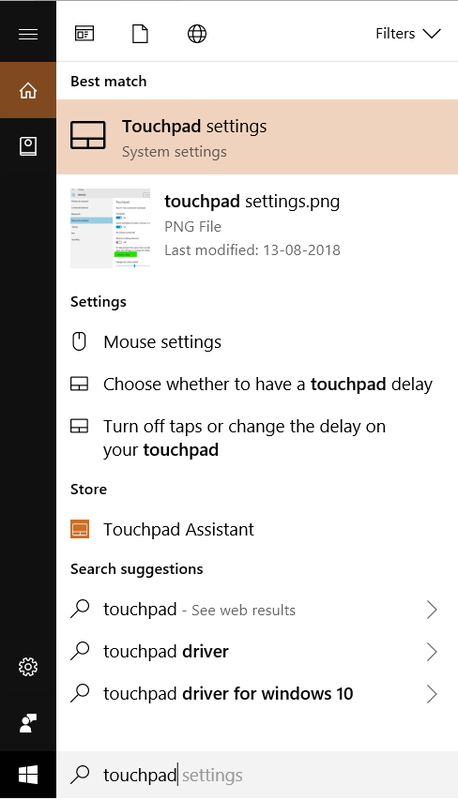 You may come across the trouble that sometimes you find that the touch pad is working very erratic or lagging while you may have connected the AC adapter to the computer. 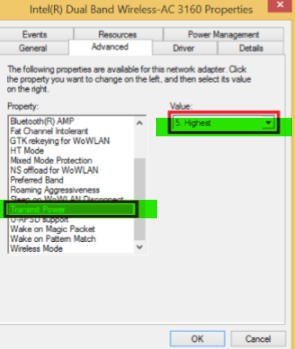 You may find that why it is changing its behavior while the adapter is connected. 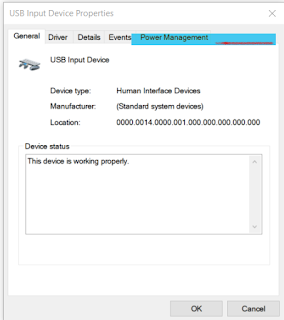 You may also conclude that there must be some problem to the computer physically and the power supply is affecting the behavior of the computer. 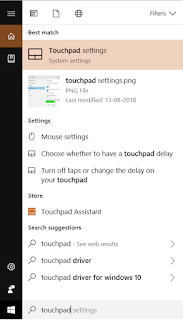 But the reason behind the erratic behavior of the cursor lies with in the software and with the windows nothing to do with the physical hardware of the computer. To ensure it I will recommend that you should go into the system BIOS by pressing DEL or F2 or ESC key at the boot depend upon the manufacturer of your chipset, if it is recently purchased computer recent means like within 3-4 years from now then I believe it should support mouse in BIOS and try to check it there with and with the AC/Power cable plugged in and see if it still shows erratic behavior in there, if not then it is confirmed that it is nothing to do with the HardWare. 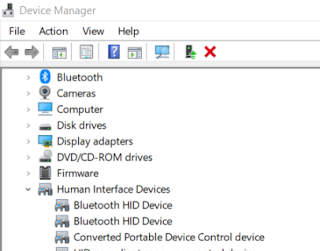 1: If it does cause trouble in BIOS(for people who does not have cursor support in BIOS they can try using WINDOWS Recovery mode, I think I have discussed that in my previous post that how to get in there) then you already knew it has something to do with HW so you can check it out with Hardware support for your computer they will replace either the Touchpad or the DC in or maybe both of them. 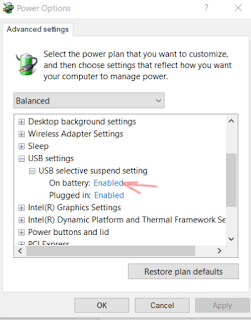 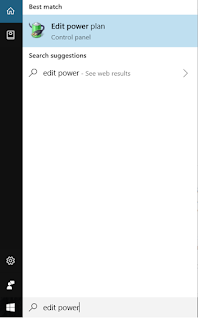 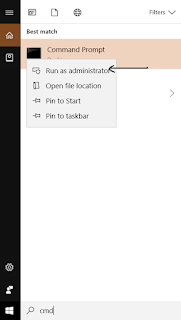 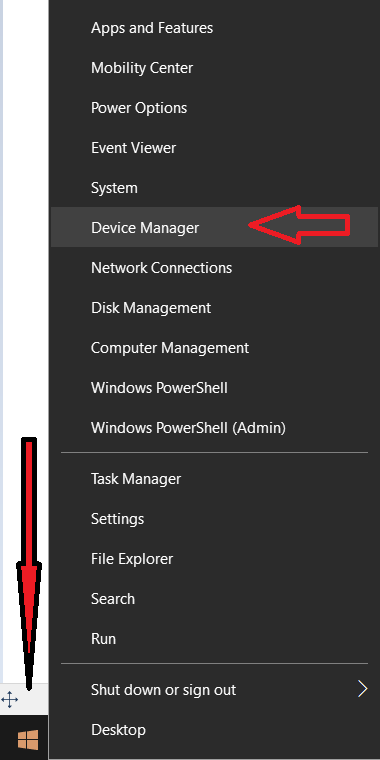 Now click on Change Advanced Power Settings and it will bring up other box where you will be having different power options to select first thing first ensure you assign the power button action to Shutdown in there, because my experience with Hibernation has not been good on Windows 10 machine. 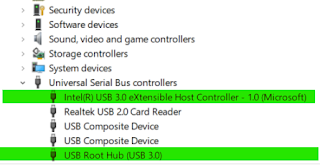 Last time I used Hibernation was with my Windows ME machine back in year 2002, found it to be major cause of No Boot issue. 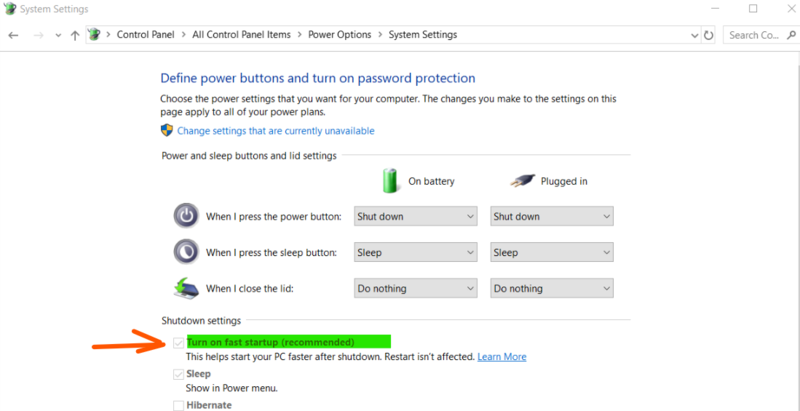 The reason why I do not recommend Hibernation will be explained when I will tell you about fixing Sleep Issues in Windows 10. 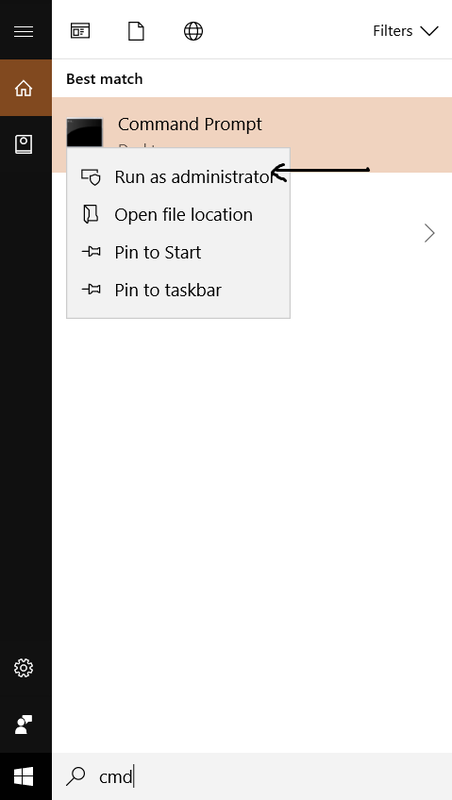 So for now lets stick to Erratic cursor issue. 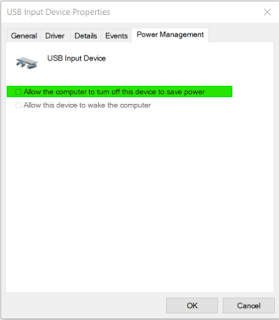 Now just like in below image ensure that the USB selective suspend settings are enabled both in battery and without battery. 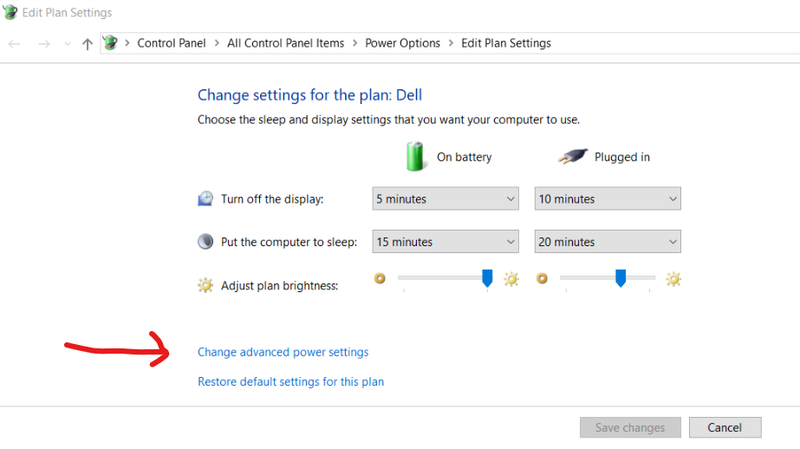 Now the Critical battery action. 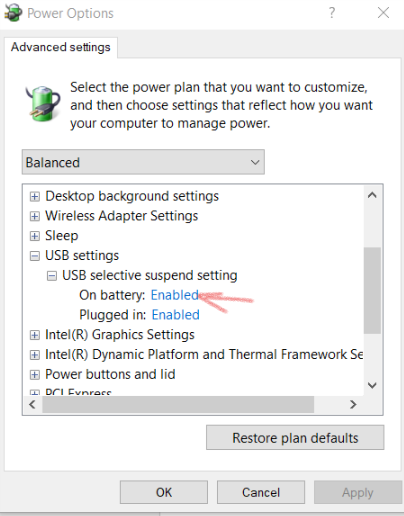 In above image it shows Hibernate but you need to change it to Shutdown on battery and Do nothing when plugged in. 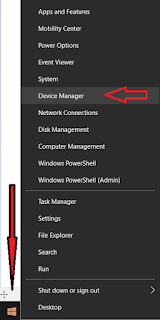 It will somewhere help you PC to be very actively understanding the devices and the setting in the computer. Now we are done with the edit power plan, Just to ensure that every thing is correct and this system will now never go in Hybrid Sleep/Hibernate then run one last command. 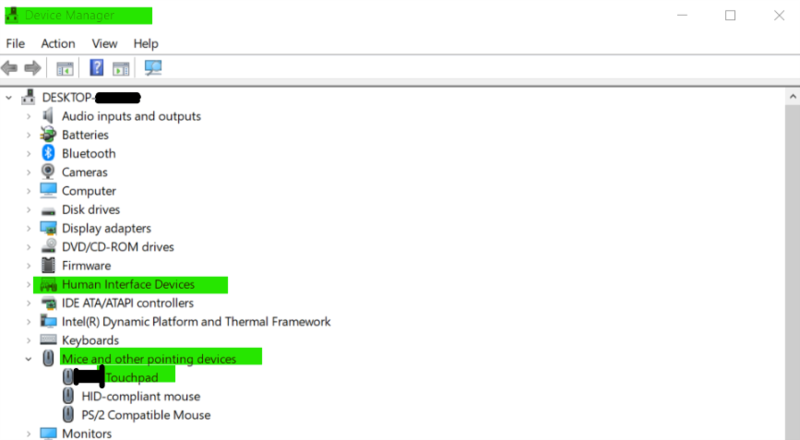 We are completely done with the editing power plan has been completed. 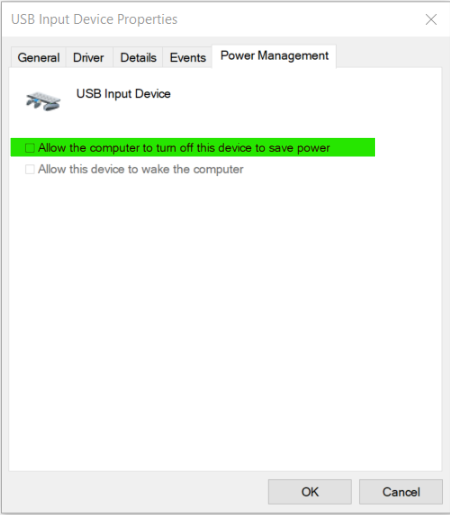 Now remove the tick mark from "Allow the computer to turn off this device to save power" repeat this step for all the USB input devices. Now in Advance on left hand side look for properties and in properties look for Transmit Power then on the right hand side change Highest to Medium Then click OK.
Intel Wifi may or may not be part of your computer hence if this option is not there then do not worry you can proceed with next step. As we know that the cursor is being erratic only when the AC adapter is connected hence in this case we will try to uninstall and reinstall the battery drivers in device manager. To uninstall the Batteries Drivers check the above image expand the Batteries and right click Microsoft AC Adapter then select uninstall, do the same for Microsoft ACPI-Complaint Control Method Battery, once this both option are invisible from the device manager then click on the icon which is highlighted in green above with a arrow mark, which is for Scan for Hardware Changes, Click on it and it will reinstall the Drivers. Now look out for the option as in below image which says Medium Delay, just change it to No delay. 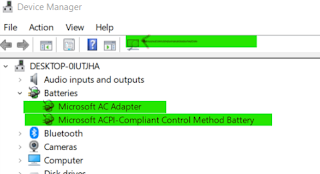 Now check and you will find that your issue is resolved and it is no more lagging or freezing while on AC adapter. 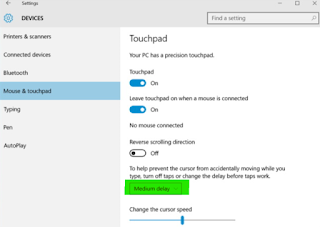 Related Touchpad Article: | Windows 10 | Touch Pad not working.